A more recent category of gaming apps pertaining to non-stop running is catching up fast with games offering various levels of challenges without compromising on the fun factor. These games are quite popular and you can find many types of running games on App Store and Google Play. Choosing the right one that offers excitement and challenges can be hard. No worries, we looked and we discovered one highly addictive running game for you. Let’s talk about it. Nolly By Nature is an intense running game in the group of action games, suitable for android and IOS users. This game is a geometry dash and hard, perfect choice for users that need to test their reactions and like playing challenging games. The gameplay is very addictive but challenging for passing, every passed level brings increased difficulty, making the users push themselves harder. The users only need to tap and touch the screen for running through the jungle and getting the kitty safe home. This adventure is specially created for users that like to test their reactions, and aside from the challenge the game gives, this game still is highly entertaining and intense making users addicted to it fast. With about 15 different levels, the users can push themselves harder with every passed level, getting high achievements. 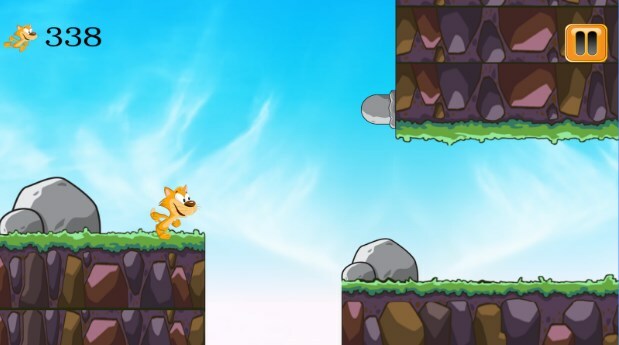 On every level through the jungle run, the users must pass many obstacles on the way to get Nolly safe home. Also, on the jungle run there are many coins that need to be collected from the users for daily rewards. The coins are also available for users through in-app purchases. Download the game now on App Store and Google play for free.